Bud Herseth, the longtime principal trumpet for the Chicago Symphony passed away Saturday, April 13, 2013, at age 91. Bud Herseth was hands-down recognized as the greatest orchestral trumpet player of his generation. He is from the same mold as Harry Glantz, principal trumpet for the New York Philharmonic and NBC Symphony under Arturo Toscanini – one of Bud’s heroes. 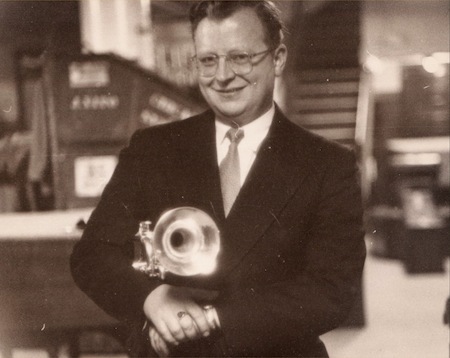 Bud Herseth was principal trumpet for the Chicago Symphony from 1948 – 2001. He was “instrumental”, pun intended, in helping create the famous Chicago Symphony brass sound – the most coveted in the US, perhaps the world. This reputation began with Fritz Reiner in the 50s, but reached its height during the tenure of music director Georg Solti from 1969 – 1991. His high voltage approach to composers such as Mahler, Strauss, and Bartok sparked playing of the highest caliber from the orchestra. Herseth’s ringing tone, perfect attack, and nerves of steel stand out in the Chicago Symphony’s recordings – especially in the Mahler recordings of the 60s and 70s under Solti, and in more recent Mahler performances under Solit’s successor, Daniel Barenboim. Bud’s career was almost ended by a car accident, where his teeth punctured his lip requiring stitches and resulting in numbness. But with typical poise, he soldiered on and adjusted for his injury. In spite of his great and acknowledged skill, he never wanted to be a soloist, like Maurice Andre, of whom Herseth was a great admirer. He said that he loved the symphonic repertoire more than the trumpet show pieces. Bud’s career spanned the orchestra’s years under directors Rodzinski, Fritz Reiner, Rafael Kubelik, Jean Martinon, Georg Solti, and Daniel Barenboim, before he retired in 2001. He continued to perform on occasion for the next several years. 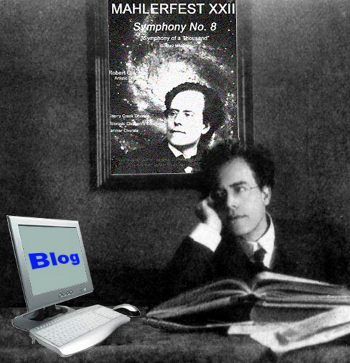 MahlerFest salutes Bud for his contributions to the music of Gustav Mahler, and for his tireless pursuit of excellence. This entry was posted in MahlerFest, News, Ron Nadel and tagged bud herseth, Mahler, Ron Nadel. Bookmark the permalink. « Beethoven 9th featuring MahlerFest soloists.